Kapadokya Travel in custom made trips to Turkey for individuals, special interest groups, incentive travel and special events including weddings, anniversaries, honey moons, sky diving, heli ski, wild natüre and world wide travel. As our name implies, we have a clear set of beliefs concerning authenticity, personal attention, unusual destinations, and meaningful interaction with locals, and we spare no effort to put them into practice. 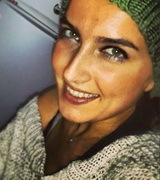 Our mission is to provide our travelers with high-quality experiences when they travel to Turkey; paying attention to every last detail and focusing on unique and extraordinary sites and locales, in order to provide trips whose breadth and insight goes beyond that of the average tourist or ordinary tours. Through creativity, custom-designed tours and only the most capable and engaging local guides, we provide our voyagers with an exceptional learning experience; giving them the opportunity to increase their cultural awareness of the people and the places they visit and broadening their worldviews by helping them to enrich themselves. 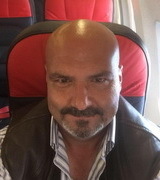 Tuncay Yılmaz was born on December 12, 1963 in one of Turkey’s distinguished places, the city of Izmir. Later, he moved to Australia and there spent his early adulthood until he was 27 years old. When his father became ill he returned to Turkey because of his close connections with family. In the year of his return, 1989, being more proficient in English than he was in Turkish, he began working in tourism, and for 22 years he was a lecturer in English in the tourism sector. Later, he decided to establish a tour agency with his business partner, which would form the foundation for their future tourism plans as they began serving incoming tourists. Everything smoothly and on time!